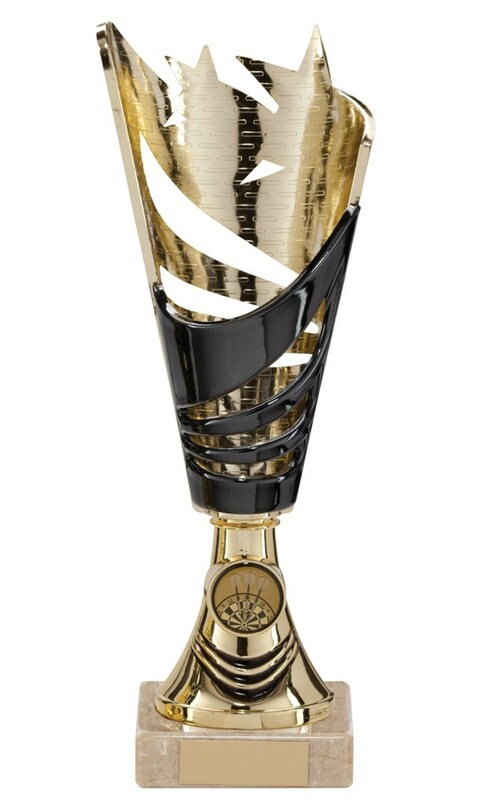 Gold and Black Vortex Star Series Cup. 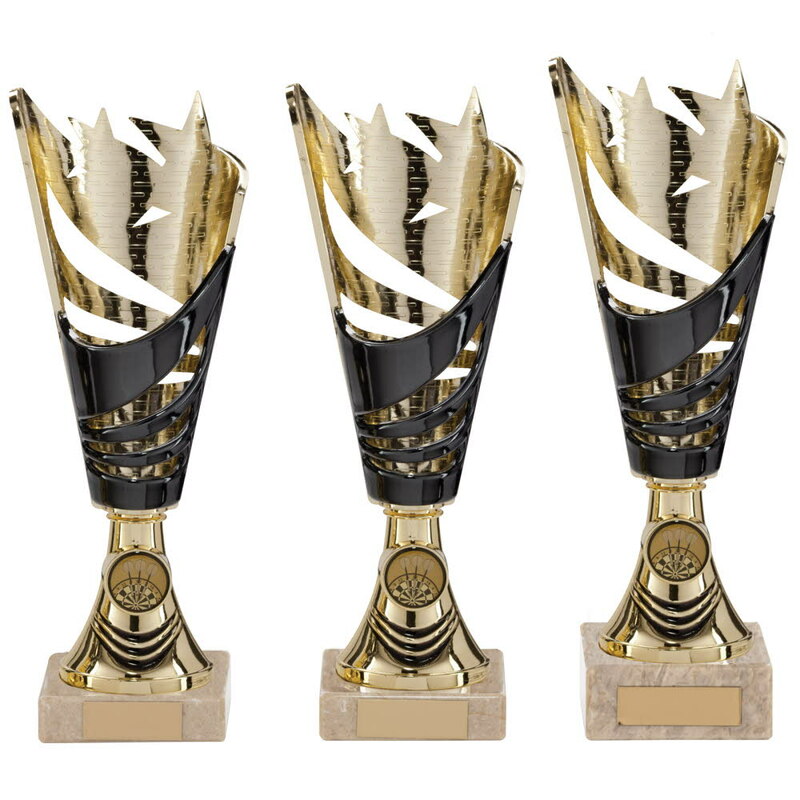 Available in 3 sizes, 250mm, 260mm and 270mm high. Gold & Black plastic cup on a heavy cream marble base.